My Favorite Friday Apps ~ No Limits on Learning! Happy Friday! I can't wait to see what is in store for today's learning, and I'm looking forward to all of the Favorites! For today's Friday favorite, I'm sharing two of my favorite apps of the summer. With recent bond money, our district has provided iPads to teachers and classrooms (not 1:1 but to use for stations or sharing across departments) so I have spent the summer playing, learning, and searching for apps. 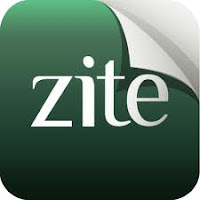 If you are an experienced iPad user, I'm certain you already know about Zite, but it was a fun find for me, and I have used it almost every day this summer. Zite is a personalized "magazine" creator. It's free, and it is available for iPhone, iPad, and Android phones. The program analyzes your Google reader and Twitter feeds and "chooses" topics based on your interests. You may also select other subjects that interest you, and then the app creates pages of articles based on your topic choices. Furthermore, you may rate the articles (thumbs up or down) so your magazine becomes more personalized as you rate more articles. If you want to save the article, you may email it, tweet it, save it to Evernote, etc. Whenever I have a spare moment, I check out Zite and read an article or two, which also leads to new great adds to my Google reader. 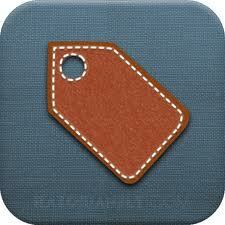 My other find is a daily, free app curator, called AppsGoneFree. Every morning, I receive a notification when "Today's Apps are Now Available," and it's fun wondering what new apps I will discover. Each day, there are 7-13 free apps, and the categories vary wildly but always include some games. The reviews include ratings, descriptions, and screen shots, just like iTunes, and a link takes you directly to the App Store. The description also includes if the app is for the iPhone, iPad, or Universal. The app is optimized for the iPhone, but I also have it on my iPad so I can easily download new finds in both places. From this app, I have downloaded educational apps, games, yoga, math-y apps, and I have shared countless apps with friends. I do not find something every day, but I have downloaded at least one new app a week. And since we will have some iPads in all content areas, it has been fun looking for apps for other teachers, subject areas, and students. Between my iPad and Twitter and all of these great new blogs, I am even more addicted to technology. Fun times! By the way, what are your favorite apps?